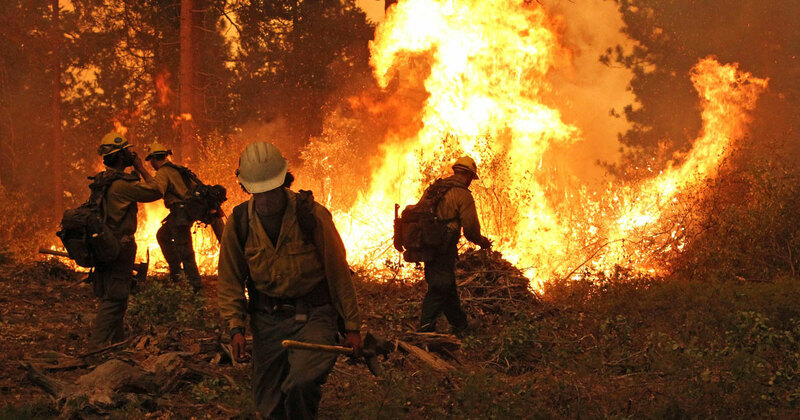 The year’s incredible heat serves as a stark reminder of how much the Earth’s temperature has risen due to the steady buildup of heat-trapping greenhouse gases in the atmosphere from human activities like power generation, transportation and clear cutting of forests. That temperature reached the point in 2015 where it was 1°C (1.8°F) above that of the late 19th century at the same time as carbon dioxide levels likely permanently rose above 400 parts per million. Both NASA and the National Oceanic and Atmospheric Administration (NOAA) reported that 2015 easily took over the top spot from 2014. By NASA’s measure, 2015 was 0.23°F (0.13°C) warmer than 2014 — the second largest-ever jump from a previous record. By NOAA’s measure it was 1.62°F (0.9°C) above the 20th century average and the largest jump from a previous record, at 0.29°F (0.16°C) above 2014. “That’s the rather remarkable part of the story, we think, this year,” Thomas Karl, director of NOAA's National Centers for Environmental Information, said during a press teleconference. The two agencies use slightly different methods of assembling the global temperature data, leading to the slightly varying numbers, though both datasets show the clear warming of the planet. The oceans were one of the clear hot spots on the globe during the year, particularly the Indian Ocean and the tropical Pacific Ocean, which was under the influence of an incredibly strong El Niño. Record warmth was found in parts of Europe, Africa, Asia, Australia, South Africa and North America. It was the second hottest year on record for the U.S., helped by an incredibly toasty December in the eastern half of the country. While El Niño contributed to the record, a Climate Central analysis has shown that 2015’s high temperature was overwhelmingly the result of manmade warming. “We would not have seen the record warming without the long-term trend,” Schmidt said. 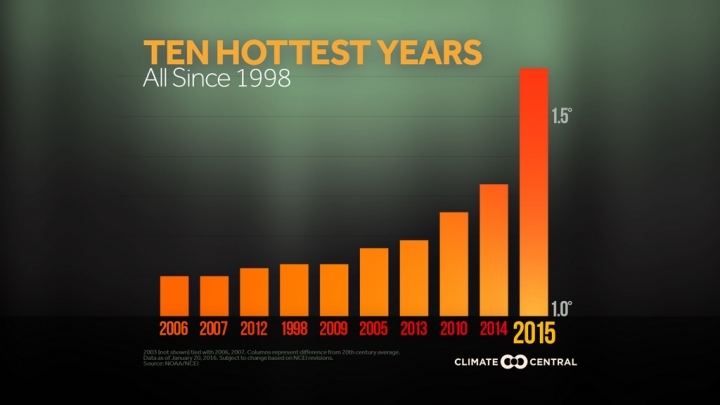 The top 10 hottest years on record. Click to enlarge. The end of the year also saw international negotiators in Paris agree to a plan to limit greenhouse gas emissions to keep that temperature from rising beyond 2°C (3.6°F) above pre-industrial levels to limit the adverse impacts of warming, such as melting glaciers, rising sea levels and potentially more extreme weather. But this new record may not stand for long, as one of the strongest El Niños ever measured combines with the continued warming of the planet to potentially push 2016 to yet another record. Pacific Ocean temperatures in the key El Niño region likely peaked in November, but it takes about three to five months for that heat to spread beyond the tropical Pacific and warm the broader atmosphere. The peak global heat from El Niño likely hasn’t happened yet, Anthony Barnston, chief forecaster for Columbia University’s International Research Institute for Climate and Society, said. That peak is likely to come in the next few months, “so, while 2015 may be the warmest year on record so far, 2016 may well be even warmer,” Barnston said in an email. This could be the case even if the tropical Pacific transitions into a La Niña later this year, Barnston said. La Niña is the cold counterpart to El Niño, featuring below-normal temperatures in the tropical Pacific Ocean and cooler global temperatures. The overall background warming of the globe means that even La Niña years now are warmer than El Niño years of previous decades. And the temperature effects of a La Niña later this year wouldn’t be felt until the year was nearly over, Barnston said. 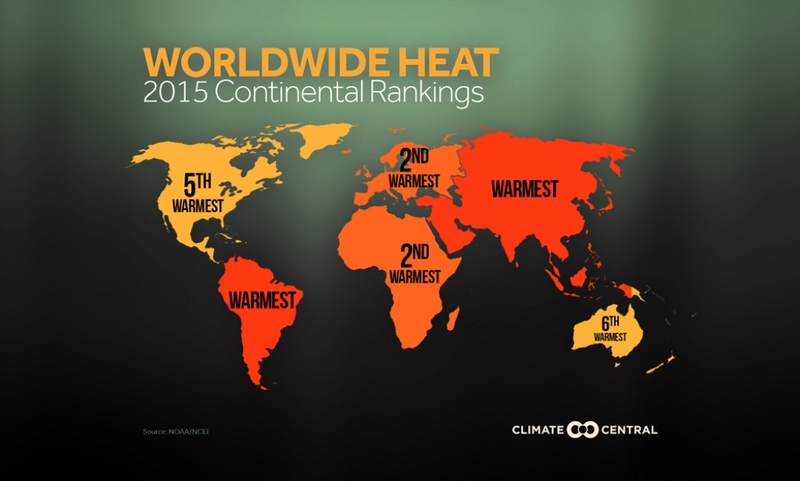 Temperature rankings for each continent for 2015. 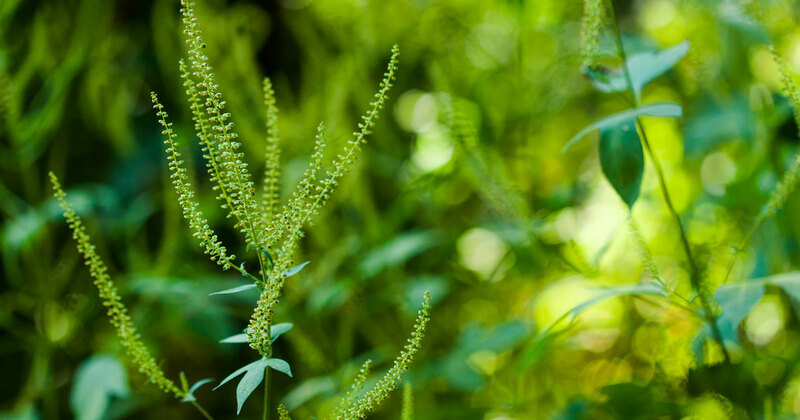 ​Click to enlarge. “This forecast suggests that by the end of 2016 we will have seen three record, or near-record years in a row for global temperatures,” Adam Scaife, head of long-range prediction at the Met Office, said in a statement. 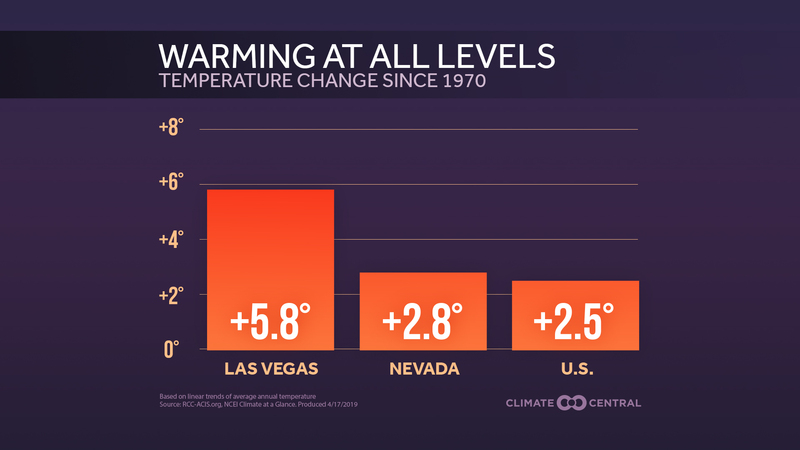 Scientists don’t expect every year to be warmer than the last, as natural fluctuations like La Niña can have a cooling influence, but overall manmade warming tips the odds in favor of record hot over record cold. The last globally record cold year was 1911, while 15 of the 16 hottest years on record have occurred since 2001, according to NASA.